Transforming Writers uniquely focuses on writing as a tool for transformation and social change. 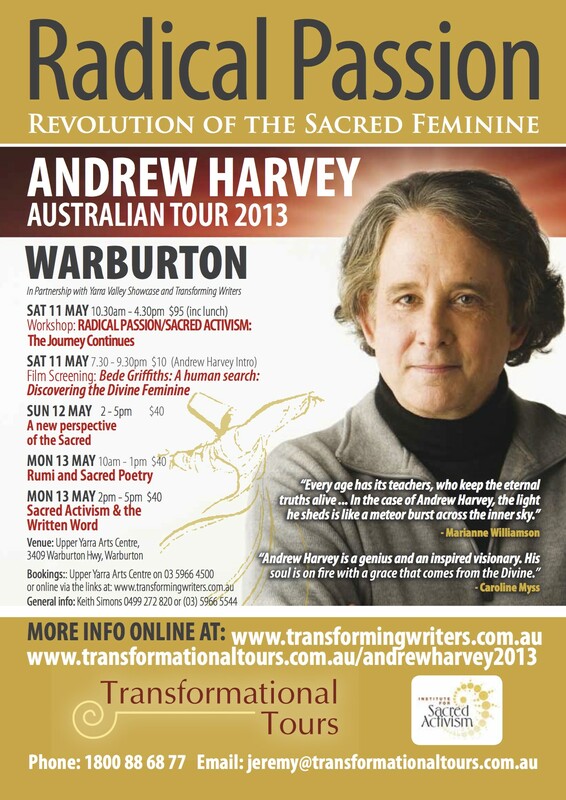 Our next major event is May 16-19 2014 where we will offer a program featuring Andrew Harvey as part of the Harmony Festival in Warburton. Like our Facebook page for updates. For more details visit the Harmony Festival website. 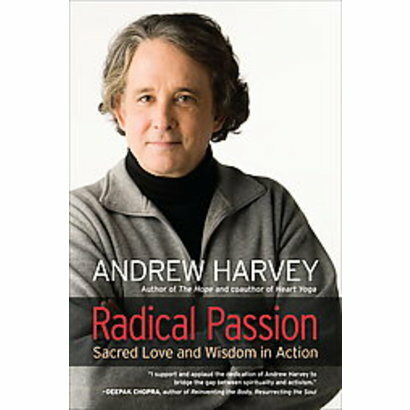 We recently hosted author Andrew Harvey in a series of workshops and discussions. Through a series of presentations, workshops, experiential and practical writing programs, interactive panel discussions and performance, we will bring writers and those interested in all forms of creative expression together in community to work with well regarded, world leaders in the field of writing for change and sacred activism. While some of our workshops will include opportunities for writing and expression, others will focus on developing the internal world of the individual. This reflects our philosophy that writing and creativity are transformative acts and it is through the evolution of the Self, both internally and externally, that we are able to bring our gifts to the world with integrity and a sense of the sacred. Transforming Writers is proud to present world renowned authors and presenters who can inspire us to further our journeys. We are also committed to supporting local authors and each other. Transforming Writers will offer a series of weekend events through the year from the pristine town of Warburton, in the Upper Yarra Valley, 70 kilometres east of Melbourne. Please join us and ‘ignite the word’.